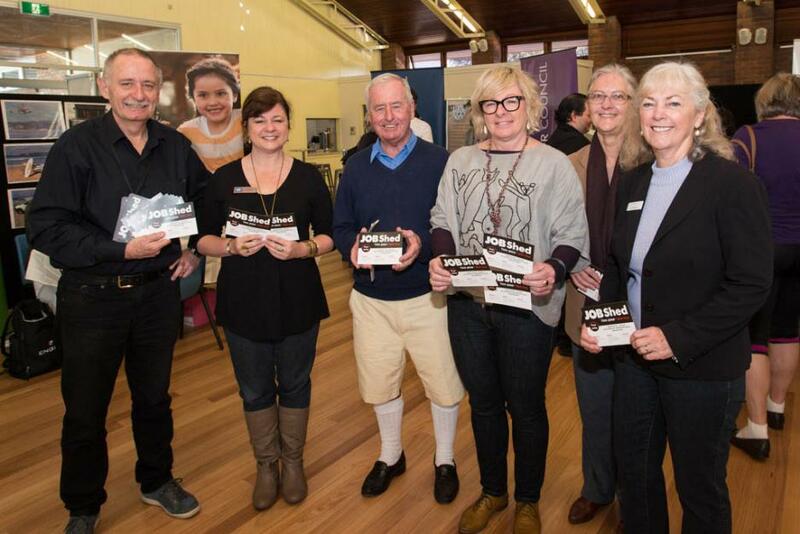 The Pittwater and Warringah Councils’ business and careers event held on Saturday 20th July 2013 at Mona Vale Memorial Hall, Mona Vale offered an opportunity to get the latest information about real jobs now and into the future for 17 - 30 year olds. This event allowed attendees to meet potential employers, educators and career trainers. Employers, speakers, individual career check-ups and resume advicewree all offered at the JOBShed. The overall aim of JOB Shed was to provide high school students up to 30 year olds with information and real job opportunities, or to take a look at career goals with the exhibitors from the Northern Beaches region who are interested and have some answers. 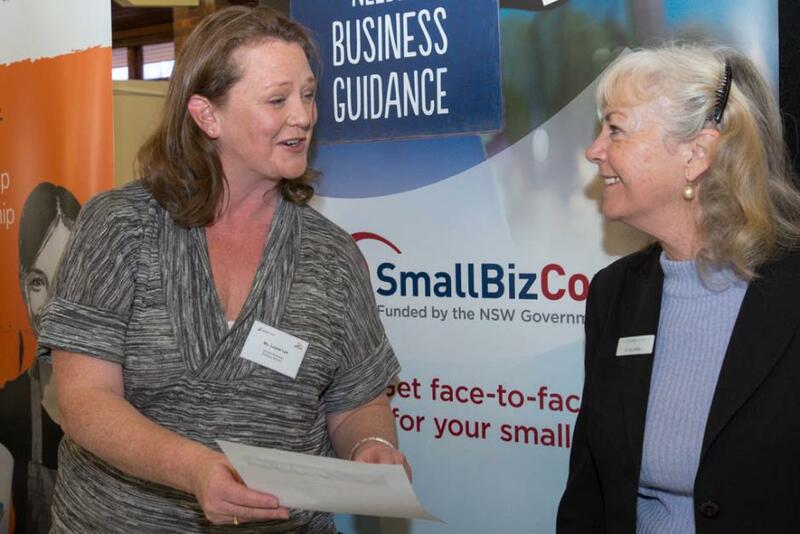 Paul William-Smith Regional Economic Development Coordinator, Sue Hines Warringah Council, Cr. Bob Grace, Cr Jacqui Townsend (Mayor of Pittwater), Cr. Sue Young, Cr. Kay Millar. Paul William-Smith explains that this first Careers and Business to Business event is to give job and career paths to 17-30 year old, school leavers through to tertiary qualifications. "The skill gaps on the Northern Beaches include banking and finance". "Job Shed wants to encourage people to stay working in this area". 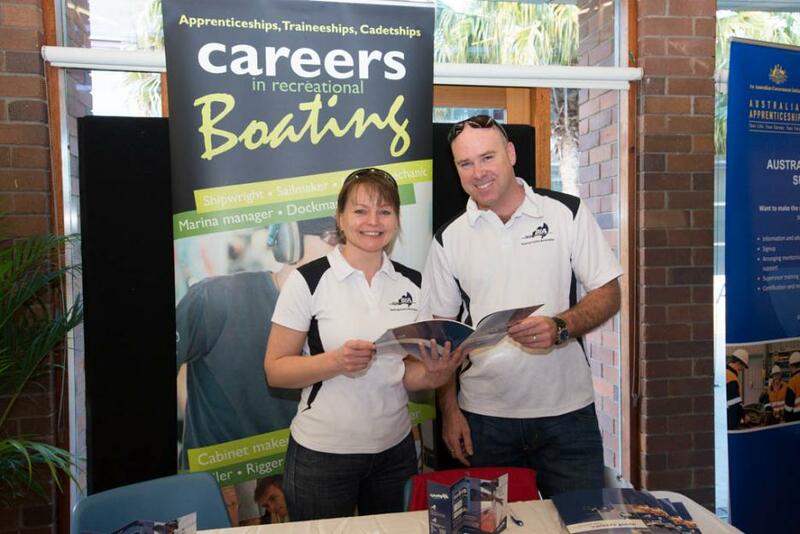 Karina and Alan "Apprenticeships and traineeship available in the industry in the boating industry particularly in Pittwater". 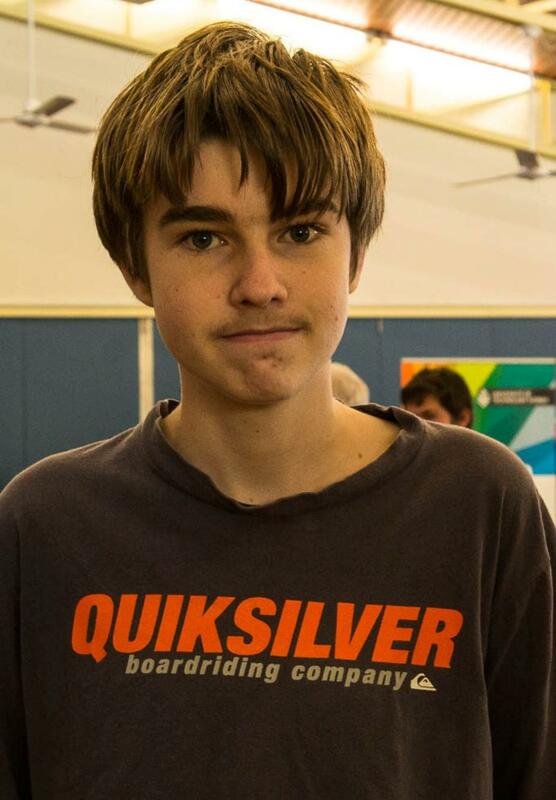 Oliver Hepburn from Warriewood looking for a job possibly with the Army. Business advisor Louise Lye with Cr. Kay Miller. Report and Photos by Michael Mannington, 2013.